Still here? You've hopefully already seen the film then, so this will be less of a review, and more my side of a discussion about why it was clever / great. One more thing - did you watch the closing credits? All of them? If not; back you go... I'll wait. 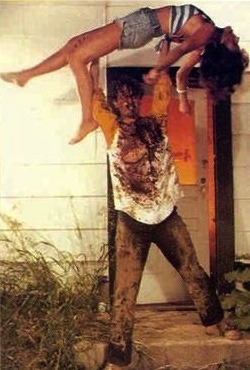 This week, the 2013 remake of Evil Dead, again starring Bruce Campbell. A group of young attractive types who go to a cabin in the woods and upon stumbling across the Necronomicon (book of the dead) they manage inadvertantly to release evil spirits. All kinds of hell, possession and murder ensues. That's not to say this is a bad movie, it is far from it. It is enjoyable enough as a stand-alone movie. It's when you start to compare it to the original that we encounter problems. Sadly none of the cast (apart from Campbell) are memorable and although the movie is not played for laughs like the original, there are parts which will genuinely make you giggle (which certainly was not the intended effect). The gore is a bit OTT and what a human body seems able to take before expiring is indeed inhuman! 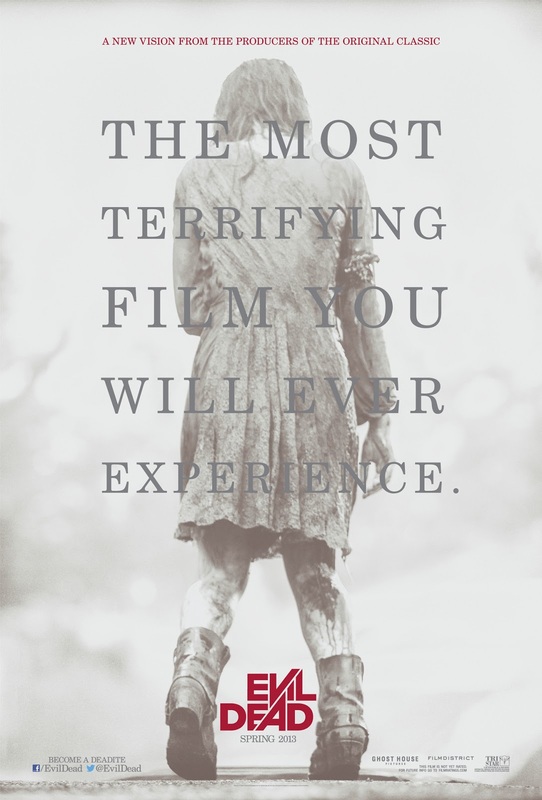 I suppose believability is not something one should expect from a movie about possession and the evil dead, sadly though, I do. But of course, this isn't just any 30 minute student film... This is Sam Rami's, Bruce Campbell staring, student film, about 4 friends who head off to a cabin in the woods, where they disturb an ancient evil; in other words this is Evil Dead 0: The Prototype. A novel one this week. A mere 32 minutes long and a short movie by Sam Raimi that went on to be remade with a significantly larger budget as Evil Dead. It starred mostly Mr Raimi's friends, but he was lucky enough to have Bruce Campbell in it also!! (not that you would know... he shows none of his characteristic massive persona in this offering). This movie was released in 1978 and any surviving copies are very difficult to watch due to the quality of the recording. It is available on Youtube if you want a nosey. What can I say? I thought that mostly it was gawd awful. 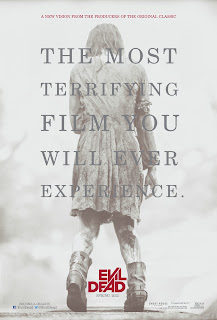 Dated in a way that is difficult to get past (for me at least) and with a budget soooo low, you wonder how on earth he managed to get funding for Evil Dead.